Chinese regulators may bar securities and futures firms from running private asset management funds that directly or indirectly invest in residential property projects in key cities. The move would be aimed at curbing speculation and cooling off the property market, analysts said. It also would rule out asset management as a financing tool for the residential properties market in those cities, they said. A report by 21st Century Business Herald cited sources close to the matter as saying the key cities are 16 first- and second-tier cities, including Beijing, Shanghai, Guangzhou and Shenzhen. The list is being drawn up based on the record of local housing authorities in controlling the rise in residential prices. "Deleveraging will be a key task for China's regulators next year, and the property industry will be among the first sectors to feel the pain," said Wang Jianhui, director of the research center at Capital Securities Co Ltd.
"In addition to tightening bank loans, the regulators will very likely curb the leveraging in shadow banking areas. For this reason, tightening control of capital flowing into the property sector is within expectations," Wang said. Deleveraging is reducing the proportion of borrowed money in the economy, and leveraging refers to investing with borrowed money. Xia Lei, property analyst at Founder Securities Co, said tightening measures could provide an opportunity for cash-rich property companies to overtake their competitors since some firms might be forced to sell their projects. "Curbing speculative capital from entering the residential property market could help consolidate the sector and contain risks and sharp fluctuations," Xia said. Real estate analysts said market players are becoming more rational and more prudent as regulators increasingly urge developers to deleverage their capital and enhance transparency of financing tools and sources. This is reflected in bidding prices for land, they said. In Shanghai, the midyear final price offered for land parcels was running some 40 percent higher than the minimum bid price. But in recent bids, the rate dropped to some 5 percent, according to Shanghai land auction authorities. 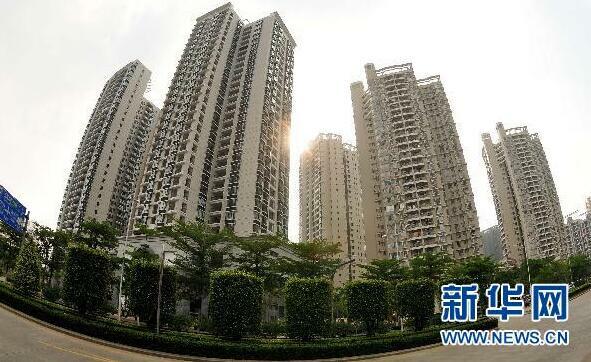 Wu Huimin, director of residential property at real estate company DTZ China, said that multiple, long-term measures are the way to stabilize housing prices, and many measures are likely to be used to reach the goal.